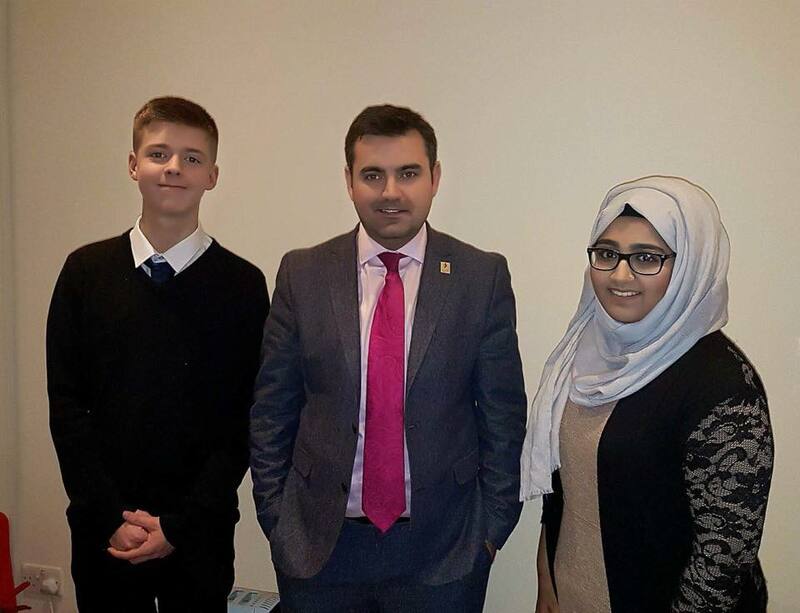 Gavin Newlands, MP for Paisley and Renfrewshire North, has met with the local Members of the Scottish Youth Parliament, Josh Kennedy and Maria Alam, who have been campaigning hard over the recent decision by McGill’s Buses to scrap the Student Day Ticket. McGill’s announced recently that the £3 Student Day Ticket wouldn’t be offered from 22nd January onwards, leaving students to either buy adult day tickets at £4.20, or Student Weekly tickets at £15.71, when they may only need to travel a couple of days a week. The MSYPs Josh and Maria have so far collected over 5,000 signatures to their petition which calls on McGill’s Buses to reinstate the Student Day Ticket which is used by young people in Renfrewshire. The large number of signatures collected in just a few days highlights how angry and disappointed people in the area are about the price hike. “Several constituents have contacted me about this issue since McGill’s announced the change a few weeks ago and I have contacted McGill’s to find out why the clearly very popular Student Day Ticket was scrapped, but am yet to hear back from them. “This decision will hurt young people in Renfrewshire and forces those young people who can afford to do so to buy a weekly ticket, regardless of how frequently they use the service. I recognise McGill’s have a new offer of 5 journeys for £10, which covers most of Renfrewshire but does not help students living in Bridge of Weir, Houston or Langbank. Given the context of regular large price rises that people using the bus have experienced in the recent years, many of them don’t trust that this offer is going to be available long-term.